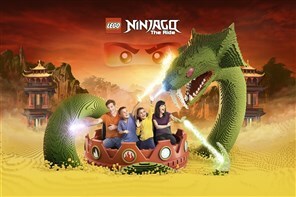 For an awesome family day out this year visit the LEGOLAND Windsor Resort and experience the ultimate LEGO adventure! The LEGOLAND® Windsor Resort is busy preparing spectacular new LEGO® additions for families to enjoy when the Resort opens its doors for the 2019 season. New for 2019 - Lord Vampyre invites you, and all the little monsters to The Haunted House Monster Party for the most spook-tacular ride EVER! Fun for the whole family, he is going to turn the house upside down! 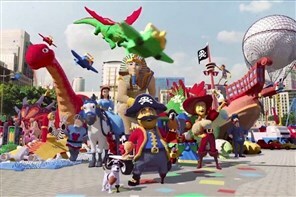 LEGOLAND® Windsor Resort is Built for Kids! 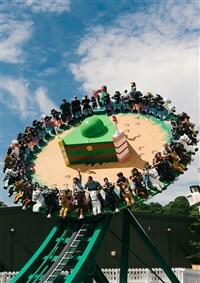 With over 55 interactive rides, shows and attractions designed for ages 2 to 12, LEGOLAND Windsor Resort offers everything from roller coasters to hands-on LEGO® building activities to an entire DUPLO-themed area for toddlers. A whole new LEGO world of awesome awaits in 2019, with over 2 million LEGO bricks set to be installed into the Resorts world famous Miniland attraction and LEGO Reef. LEGO, the LEGO logo, the Brick and Knob configurations, the Minifigure, DUPLO and LEGOLAND are trademarks of the LEGO Group. ©2017 The LEGO Group.